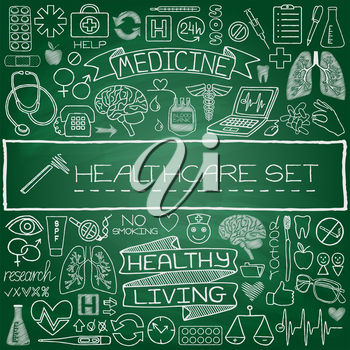 Hand drawn medical set of icons with medical and science tools, human organs, diagrams etc. Green chalkboard effect. Vector illustration.